October 3, 2018…….MCC closed October 8-9. 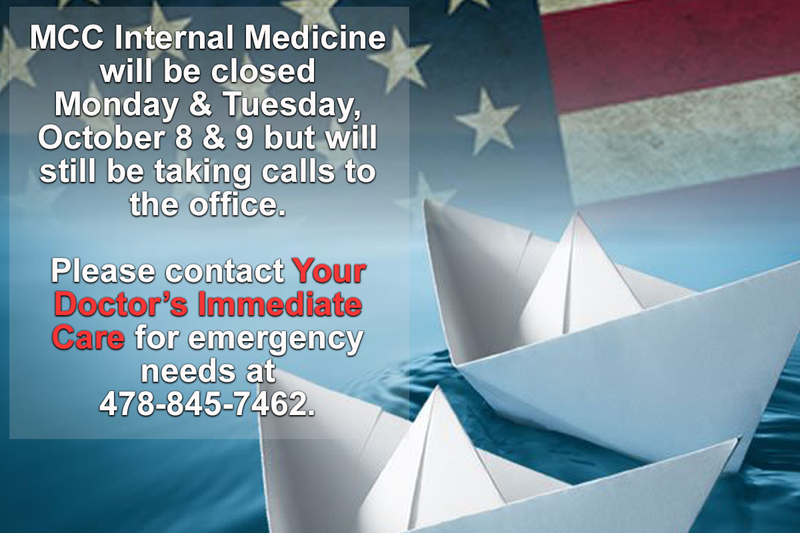 Dr. Jeremiah McClure and MCC Internal Medicine has announced the office will be closed Monday, October 8th & Tuesday, October 9th. However, the office will still be receiving calls on those days. Please contact Your Doctor’s Immediate Care for emergency needs at 478-845-7462. The office will re-open on Wednesday, October 10th. Be safe and enjoy the long weekend!